Give our Online Training a try – for free. 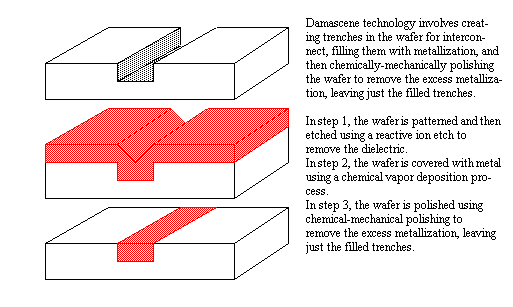 This month's topic is Wafer Cleaning. Wafer Cleaning is a critical component of the semiconductor manufacturing process. Visit Semitracks at the International Reliability Physics Symposium (IRPS). We will be demonstrating our new Online Training materials. Christopher Henderson, President of Semitracks, will also be presenting Tutorial #131: "Failure Analysis Fundamentals and Advanced FA for Nanotechnology." Electronic packaging is quickly becoming a critical competency that allows companies to differentiate their products. Issues such as copper/low-k dielectric integration, analysis, thermal dissipation, electric performance, and integration of multiple technologies are all critical issues with new packaging designs. Learn from our experts as they guide you through the pitfalls, issues, concerns, and challenges associated with advanced packaging. Let your colleagues know! The Focused Ion Beam (FIB) has been one of the most versatile and powerful tools introduced into the Semiconductor Industry over the past 10 years. Increasingly, engineers turn to this tool for device modification, examination, mask repair, and an increasing number of other tasks. Our FIB expert Bobby Hooghan guides you through an in-depth look at the FIB, its physics of operation, its capabilities, and the increasing number of tasks that it handles. This course features hands-on training on the FEI instruments located at the University of Limerick. Don't pass up this opportunity!